Ready to take your dog’s skills to the next level? Then our Advanced Training class is the perfect option for you! We also teach your dog new behaviors too, like targeting and rear-end awareness, which allow you to move your dog into different positions and can serve as the foundation for new commands and tricks. As an added bonus, Advanced Training strengthens the bond between you and your dog. 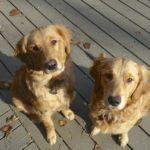 By using clear and effective communication, you can challenge your dog without added stress or confusion. Having a strong relationship with your dog is critical when advancing your dog’s skills and creating consistently reliable obedience. Who can register for Advanced Training class? Advanced Training is available to anyone who has completed 8 weeks of group training, completed in home private lessons, or have completed a Board and Train program with Paws and Possibilities. In addition, dogs must have current DHLPP, Bordatella, and Rabies vaccines. Please bring vet records with you to your first session. Class includes homework so you can continue to progress outside of the classroom. The occasional friendly competition between classmates helps to spark motivation in both dogs and students. Get ready to have fun while challenging both your dog and yourself! Are you clear this is the option for you? Excellent! Click the button to purchase a training membership. No worries - click the button to take our assessment and determine whether you and your dog are a match for group training.